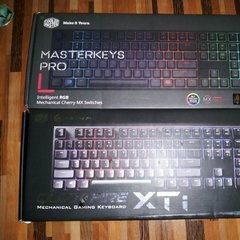 My suggestion try put your KB to others PC or Laptops and see how the result. 6months my combo in windows 7 pro before move to windows 10, so far no errors I get..
it be very much appreciated. is there any way to order a replacement key? my spacebar got smashed but the button itself still works only the cap is busted.